After a meandering, rather nonsensical notice was recently sent to Student News linking the feral cats on campus to a few students’ insect bites, it is clear Mills College is still not committed to formulating an intelligent cat management plan. From what can be gathered by the note written by the Office of Residential Life, our community should not feed the feral cats because by feeding them, one is just making the cats more healthy, thus supporting flea populations to flourish. Better to prevent the formation of flea colonies, lest they infest our buildings and leave inhabitants covered in bites. Aside from making sweeping assumptions and engaging in unneeded hysteria, such statements are illogical if not downright ludicrous. To date, only a few outspoken students have reported bites. Contrary to what Young said, no one knows for sure the bites are caused by fleas — the campus Kaiser Center merely thinks they are. Furthermore, even if they are flea bites, that they came from the cats is entirely unproven. That no feral cats are currently being treated for fleas is also a false statement. 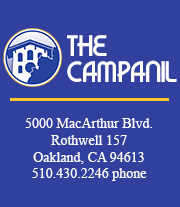 Plus, to The Campanil’s knowledge the students who reported the bites have not been in direct contact with any feral cats, nor has there ever been a building on campus that has had a flea infestation. In short, if the College says caring for feral cats has created a “serious and costly health hazard” then it is doing a poor job of proving it. Instead, the College is holding fast to its decades-old policy to let feral cats on campus starve, until someone reports that one is causing some sort of nuisance and the cat is trapped and sent to an overcrowded public animal shelter where it is subsequently killed. Thankfully, in the last couple years some students and employees have begun to see there is a better way. By humanely caring for the cats, they will stop reproducing in large numbers and will be healthier, thereby reducing — not increasing — their public health risk. Feral cats, while being rather shy of human interaction if they are not accustomed to it, are still domesticated animals not adept at garnering enough food on their own. We can have a legitimate debate regarding the extent to which we interact with the cats and let them into indoor spaces (we would argue there is no harm done by doing so). We can question how they got here in the first place (though it doesn’t really change matters). In the end, though, they are sentient beings created as a result of human carelessness and we have a moral obligation to meet their central needs for food and routine veterinary care.